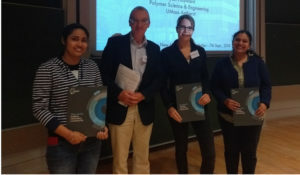 The Soft Matter Lectureship is an annual award that honours an early-career researcher for their significant contribution to the soft matter field. The recipient is selected by the Soft Matter Editorial Board from a list of candidates nominated by the community. 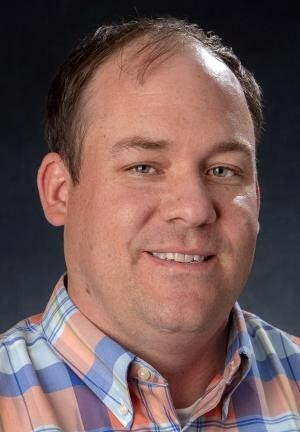 It is with great pleasure that we announce Prof. Tim White (University of Colorado Boulder, USA) as the recipient of the 2019 Soft Matter Lectureship. Tim White completed his PhD at the University of Iowa. Thereafter he went on to become a Senior Research Engineer at the Air Force Research Laboratory in the US. In July, Tim was appointed as the Gallogly Professor of Engineering at the University of Colorado Boulder where he has founded the Responsive and Programmable Materials Group. His current research activities are broadly focused on harnessing stimuli response in liquid crystalline materials to realize shape transformation or optical reconfiguration. Tim will give his lecture and receive his certificate at the International Soft Matter Conference in Edinburgh in June. Thank you to everyone who nominated a candidate for the Lectureship; we received many excellent nominations, and the Editorial Board had a difficult task in choosing between some outstanding candidates. Please join us in congratulating Tim on his award! 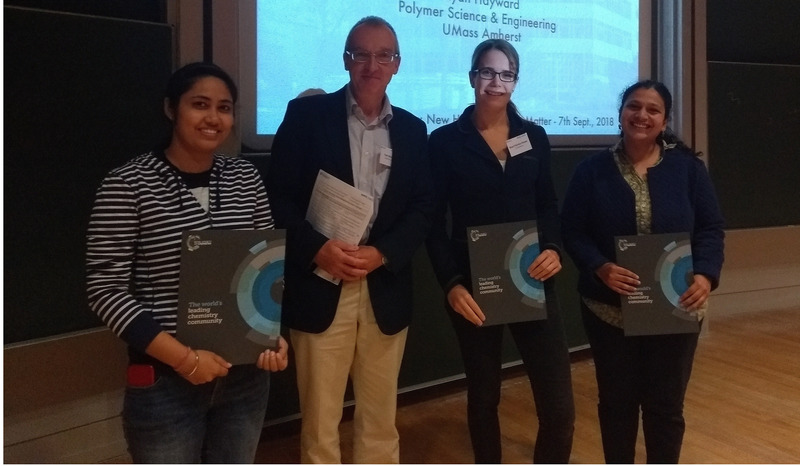 We would like to highlight the Outstanding Reviewers for Soft Matter in 2018, as selected by the editorial team, for their significant contribution to the journal. The reviewers have been chosen based on the number, timeliness and quality of the reports completed over the last 12 months. This week’s issue of Soft Matter is our 2019 Emerging Investigators issue, which contains articles from soft matter researchers in the early stages of their independent careers and is accompanied by an Editorial from Editor-in-Chief Professor Darrin Pochan. 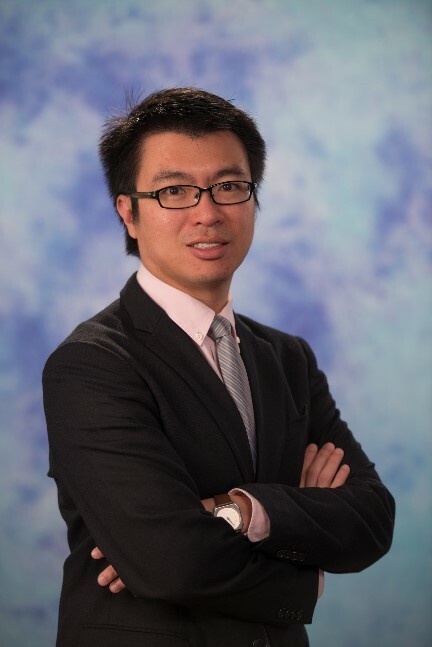 To celebrate this issue we are delighted to feature the profile of Professor Anderson Shum, who published in our 2017 Emerging Investigators issue. Below, Anderson talks about his research journey, from student to Associate Professor, and his feelings towards Soft Matter! “I started my scientific career as a student working on photocatalysis of titanium in the summer at Technion after my high school, and assembly of surfactants onto metallic substrates during my undergraduate studies at Princeton. All of these helped cultivate a deep interest in topics relevant to Soft Matter. I was initially excited by soft matter areas because of the pretty microscopic pictures that you can see. Afterwards, I was intrigued by the set of tools that emerge, such as microfluidics, for manipulating soft matter systems. Recently, I am becoming more convinced how findings in soft matter can benefit a plethora of applications, ranging from food to biomedicine. Read Anderson’s Soft Matter papers below! 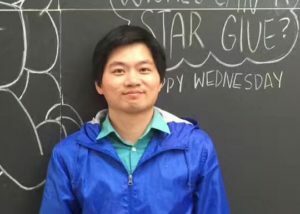 Anderson Ho Cheung Shum received his B.S.E. degree in chemical engineering from Princeton University, S.M. and Ph.D. in applied physics from Harvard University. He is currently an Associate Professor in the Department of Mechanical Engineering and the Biomedical Engineering Programme in the University of Hong Kong. 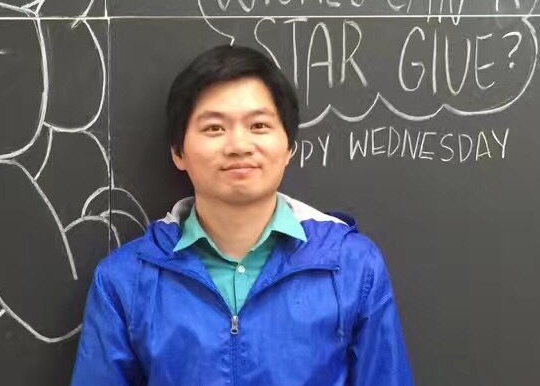 His research interests include microfluidics, microscaled fluid flows, emulsion-templated materials and soft matter. Anderson was a HK nominee for the 2017 APEC Science Prize for Innovation, Research and Education (ASPIRE Prize), and an awardee for the Early Career Award by the Research Grants Council of Hong Kong in 2012, HKU Outstanding Young Researcher Award 2016-17, silver medal in 46th International Exhibition of Inventions (Geneva, Switzerland) in 2018 and IEEE Nanomed 2018 New Innovator in 2018. He was selected to join The Royal Society of Chemistry as a fellow in 2017 and The Young Academy of Science of Hong Kong as a founding member in 2018. He is a top 1% scholar by Clarivate Analytics’s Essential Science Indicators in 2018. He is an Associate Editor for Biomicrofluidics (American Institute of Physics (AIP), starting January 2019), Editorial Board member for Scientific Reports (Nature Publishing Group) and an Editorial Advisory Board member for Lab-on-a-Chip (Royal Society of Chemistry (RSC)). This week’s issue of Soft Matter is our 2019 Emerging Investigators issue, which contains articles from soft matter researchers in the early stages of their independent careers and is accompanied by an Editorial from Editor-in-Chief Professor Darrin Pochan. In order to celebrate this issue, we are delighted to feature the profile of Professor LaShanda Korley, who published in our 2017 Emerging Investigators issue. Below, LaShanda discusses her research from the issue and how it fits into her overall research interests. Read LaShanda’s Soft Matter papers below! 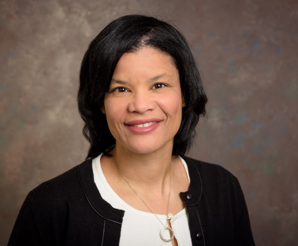 LaShanda T.J. Korley recently joined the Departments of Materials Science and Engineering, and Chemical and Biomolecular Engineering at the University of Delaware as a Distinguished Associate Professor. Previously, she held the Climo Associate Professorship of Macromolecular Science and Engineering at Case Western Reserve University, where she started her independent career in 2007. Her research program involves utilizing design rules from Nature in the development of mechanically-enhanced and tunable materials. She is the PI of the NSF PIRE: Bio-inspired Materials and Systems. She received a B.S. in both Chemistry & Engineering from Clark Atlanta University, and a B.S. in Chemical Engineering from the Georgia Institute of Technology in 1999. Dr. Korley completed her Ph.D. at MIT in Chemical Engineering and the Program in Polymer Science and Technology in 2005. LaShanda Korley was a Provost’s Academic Diversity Postdoctoral Fellow at Cornell in the Department of Chemical and Biomolecular Engineering. The 15th International Conference on Magnetic Fluids will take place at Sorbonne Université in Paris (France) July 8-12, 2019. This conference brings together the international scientific community involved in magnetic fluid science, at large, from liquid dispersions to more complex fluids such as magnetorheological fluids, ferrogels, ferronematics, ferropolymers, biocolloidal systems etc. The conference will highlight synthesis and properties of innovative magnetic materials with a special emphasis on societal applications in the domain of energy, environment and biomedical. The regular submission deadline is May 31, 2019 and the regular registration deadline is June 19, 2019. Professor Susan Perkin (University of Oxford, UK) was presented the Soft Matter 2018 Lectureship award at the Annual Meeting of the Statistical Mechanics & Thermodynamics Group by Dr Neil Hammond, Executive Editor for Soft Matter. 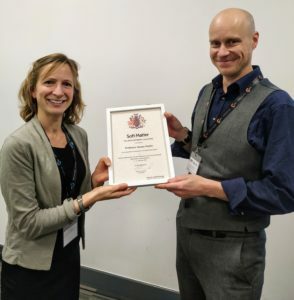 The meeting, which was held in Manchester on the 9th – 11th January, aimed to bring together experimental and modelling/theory groups to discuss industrial and academic challenges related to electrolytes solutions. Please join us in congratulating Susan on winning this award!